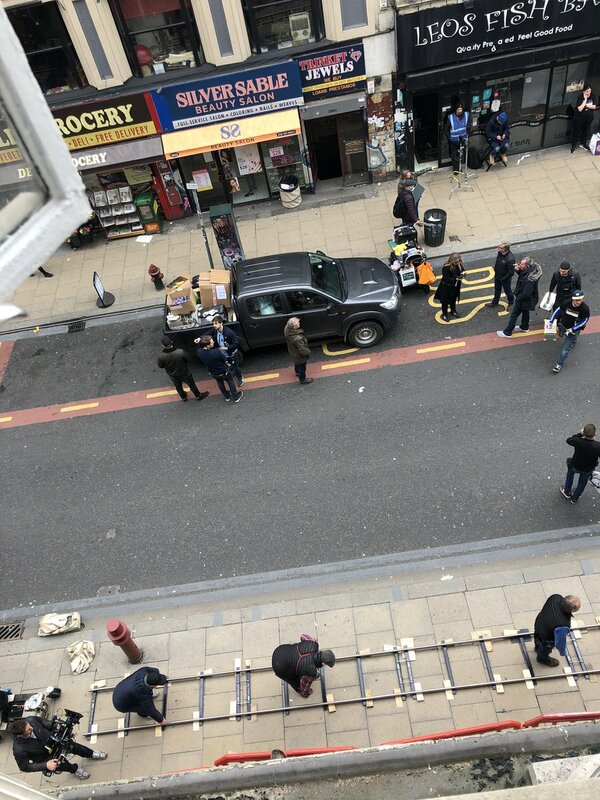 Sony’s latest live-action Spider-Man spinoff movie Morbius, starring Jared Leto as the titular living vampire, is currently filming in Manchester, England, and the first set pics have already proven that the film will have a lot of easter eggs to other characters from the Spidey mythos. Unlike the typical way of planting an easter egg, hinting that these characters are out there somewhere, Morbius seems to be slipping in familiar names as background-dressing. For instance, a catering van labelled Kraven presumably doesn’t mean that fearsome hunter Kraven is a caterer in Sony’s shared Marvel universe but is just intended to be a wink at the fans. Similarly, these two photos feature another business named after a Spider-Man villain. You’ll see that the first image below, showing a Manchester street masquerading as Brooklyn for the movie, captures a store front titled “Silver Sable Beauty Salon.” This is a nod to female assassin Silver Sable, a sometime enemy, sometime ally of Peter Parker’s in the comics. The second photo above is a little more subtle, though. 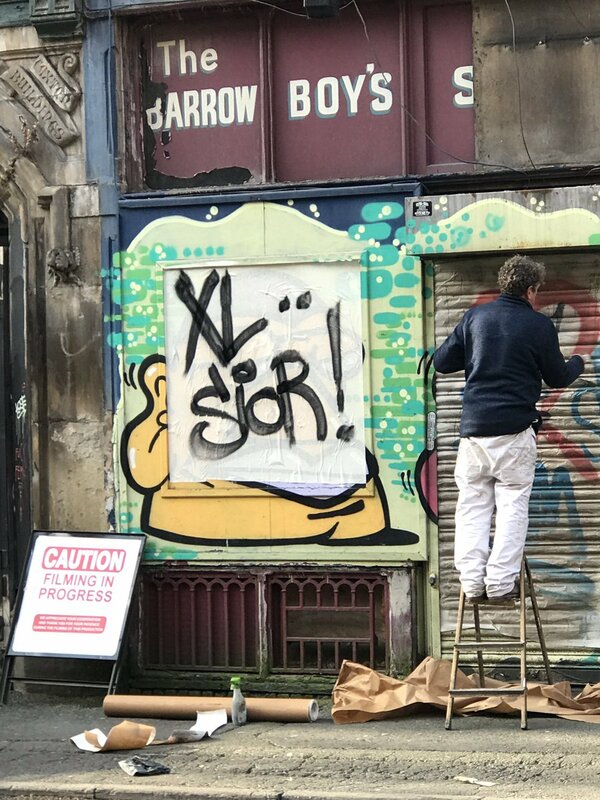 It shows graffiti reading “XLsior.” This must be a tip of the hat to the catchphrase of the late, great and much-missed Stan Lee. Movie fans will remember Lee getting to say his signature line “Excelsior!” on screen in Avengers: Age of Ultron. Now that the comics creator is sadly no longer with us, we hope that other Marvel films will continue to slip in easter eggs to mark his memory like this one. As for Silver Sable, she was originally set for her own movie, Silver & Black, which would have seen her team up with fellow anti-heroine Black Cat. This was initially set to be Sony’s next venture after Venom, but problems with the script led the studio to cancel the project with plans to make separate films for the two characters instead. Directed by Daniel Espinosa and co-starring Matt Smith as the villainous Loxias Crown, Morbius is set to hit theaters July 31st, 2020.